Andrew J. Zarauskas of Union, New Jersey, was convicted on February 11, 2014, on two counts of smuggling, two counts of money laundering, one count of conspiracy to smuggling, and one count to conspiracy to money laundering. Sentencing will follow later this year. Along with two other co-defendants, he conspired for nearly a decade to transport the tusks to buyers in the United States by smuggling them across the Canada-U.S. border, in violation of the MMPA [Marine Mammal Protection Act]. According to the U.S. Attorney's Office, the ring trafficked at least $1.5 million worth of narwhal tusks.Under the MMPA, it's illegal to transport, trade or export any marine mammal or marine mammal product. 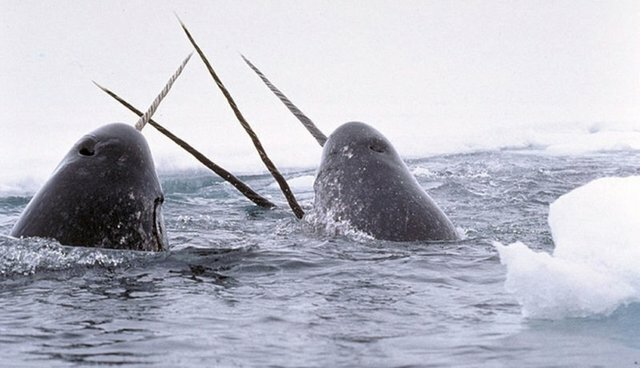 As marine mammals, narwhals are protected under MMPA. Known for the characteristic tusk (which is actually the upper left canine tooth protruding from the jawbone), the narwhal is threatened by poachers who seek their valuable tusks. "Cooperation was a critical component in taking down this wildlife trafficking ring," said NOAA Special Agent Todd Nickerson in a release. "The efforts of all agencies involved will ensure that future generations will be able to enjoy all the benefits these valuable, but vulnerable, species provide."